Good Ole Boy Hat | BUDK.com - Knives & Swords At The Lowest Prices! Let everybody you see know you are a good ole boy each time you step out in this hat! 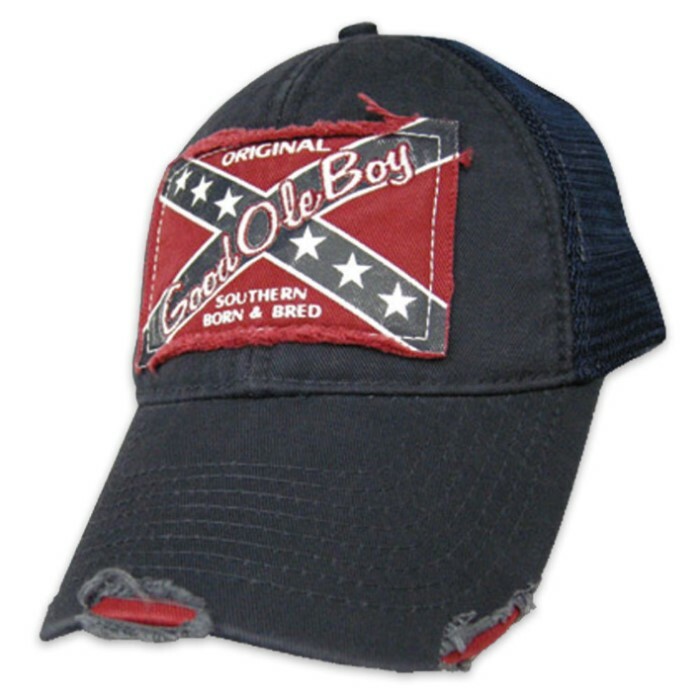 This trucker cap style hat features a look of rugged denim with a rebel flag and good ole boy art. All your good ole buddies will want one of these hats, too!